On our journey to our ultimate destination which was the Kgalagadi Transfrontier Park we wanted to investigate an area we had been recommended to visit in the Northern Cape, Augrabies Falls National Park so we decided to spend our next night at the falls before proceeding on to Kgalagadi Transfrontier Park and it wasn't that far out of our way only about 250 km which was not bad in the overall grand scale of things. We continued our journey along the N14 and through the Northern Cape's mining towns of Kuruman and Kathu, the terrain had somewhat changed from the rolling hills of the north west province and it became flat and uninspiring here but as far as the eye could see the flora and fauna was 'oxide red' from the 'iron ore' dust that swept across the landscape at various times by the wind, brought about by the the open cast 'iron ore' mines that dot these areas, we continued heading on towards and through 'Upington' a large town and really the gateway to the Kgalagadi Transfrontier Park. 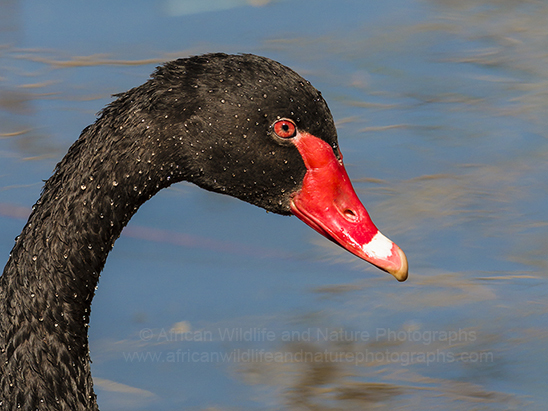 Upington would be our 'left turn' the following day to take us on the road and Kgalagadi Transfrontier Park bound. But for now, we pressed on shadowing the 'Orange River's' northern shores, passed the little villages of Keimoes and Kakamas into the Northern Cape's wine area where our landscape changed again. This time vast vineyards stretching afar both sides of the road. The Orange River is one of Africa’s great rivers and along its Northern Cape bank lie large white-wine producing vineyards. Perhaps not as well know as its Western Cape counter parts but certainly biting at its heels in terms of quality in South Africa and the international market, so keep an eye out for the label that has 'Orange River' marked on them. By the time we had passed through Kakamas the last little village or 'dorp' as they are affectionately known here in South Africa, it was late morning and we were both eagerly looking out for a 'coffee and cake' stop as by now we had been on the road for about 5 hours. By chance we came across a delightful stop over for any traveller on this road Vergelegen Guesthouse which has a coffee shop and restaurant attached an ideal stop over for those travelling to Kgalagadi Transfrontier Park or Augrabies Falls dependant in which direction you come. Fed and watered we pressed on to Augrabies Falls (The Khoi people called it ‘Aukoerebis’, or place of great noise, as this powerful flow of water is released from rocky surroundings characterised by the 18km abyss of the Orange River Gorge) and arrived at about 3pm in the afternoon. With quiver trees on either side of the road guiding us as we approached the main gate we quickly checked in and unloaded. Our chalet for the night was simply outstanding and very well appointed with all one could need. 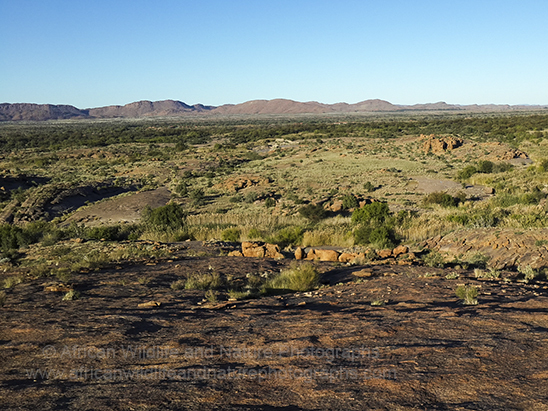 With the sun starting to head towards setting we took our cameras and binoculars and headed out into one of the famous 'arid' South African parks and a place called 'moon rock'. We were unfortunately running short of time due to our long journey that day but we had sight of Yellow Canary (Crithagra flavientris) and Acacia-pied Barbet (Tricholaema leucomelas) and Swallow-tailed Bee-eater (Merops hirundineus) as we drove along the parks dirt roads. 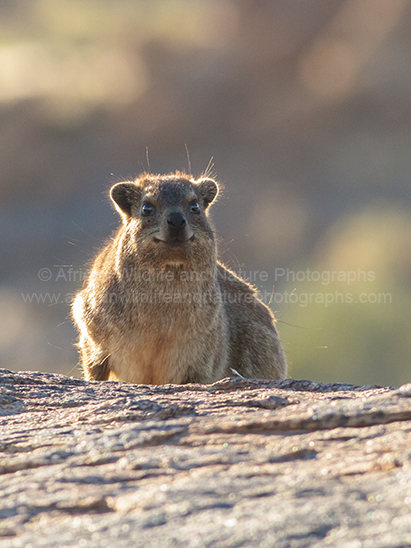 We parked the car and walked up to 'Moon Rock', on our way up the gentle rock slope Rock Hyrax (Procavia capensis) or Rock Dassies as they are affectionately known here danced in and out the rocks and boulders. At the top of Moon Rock you get one of the best views of the park we were told and it didn't disappoint, the light by this time was fading fast so it was time to get back to the car and head back to the chalet to prepare for dinner and early to bed for our trip, at first light, to Twee Rivieren Restcamp in the Kgalagadi Transfrontier Park.